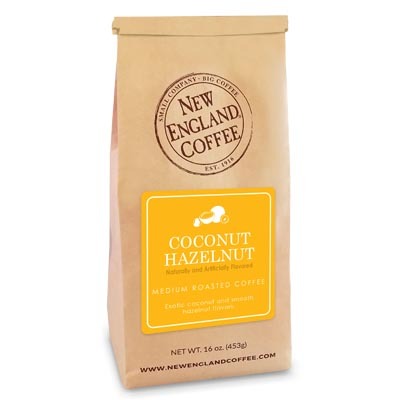 An award-winning blend of rich Colombian and Central American beans with zesty French Roast. For a refreshing alternative, escape the daily grind and enjoy your next cup of EyeOpener coffee – iced! I LOVE coffee and while visiting our son in TN I bought a bag of NE Eye Opener. My husband is never vocal about coffee but the first cup of this he said “this is the best cup of coffee I’ve ever had.” This is now the only coffee in my kitchen. The only downside is that I wish that I could buy it locally. FIVE Stars!!!!! Great coffee. I do custom grind for my percolator or whole bean. I found it in Maine but back home in Ma I only see drip grind in the stores. I may order online in the future. Recently went back to perking from single serve, way more versatility !! Absolutely fabulous taste, found and purchased in Philadelphia in I think a Giant food store. STILL searching, All of your coffees are superb. 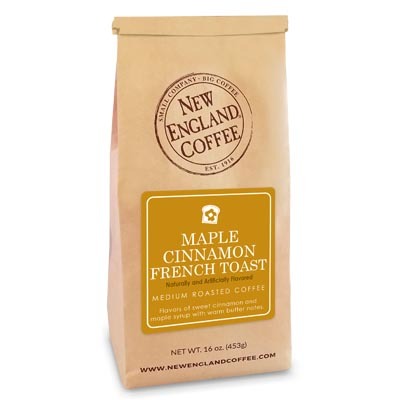 We own a coffee shop in which we serve New England Coffee. We have raving reviews from our customers and are now being asked if we can sell it by the bag. The EyeOpener Blend is absolutely amazing! 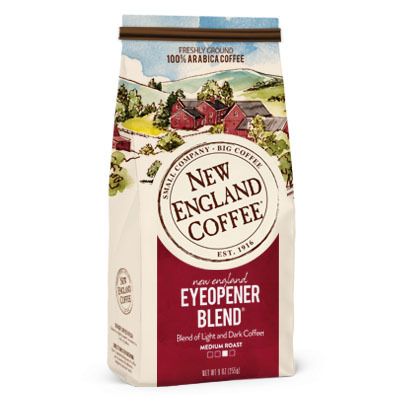 The New England Eye-Opener Blend is the best coffee for my taste. Thank you. Absolutely the best flavor. Everyone I have shared a cup with has loved it. 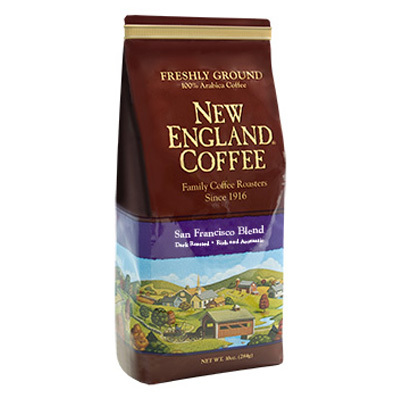 If you love a great coffee, New England Coffee is awesome, but this is the best favor. However, for health purposes I have had to switch to decaf and they don’t make this one in decaf. I sure miss it.